I have always been attracted to textures. I love textures on paintings, collages, assemblages. I look for textured papers and ways to texture the paint and the surfaces of my paintings and collages. There are different ways to achieve texture. One way is to paint or draw lots of small shapes, lines or dots. Another way is to apply textures like rough papers, straw, dirt, clay or whatever you want. There is something very seductive and sensual about textures because they imply the idea of "touch". Textures can be found everywhere.... old walls, sidewalks, doors... weathered and worn wood, and rusty metal. Nature and the passage of time can work its magic on the surface of the world around us. There is subtle beauty and texture on the surface of a stone. 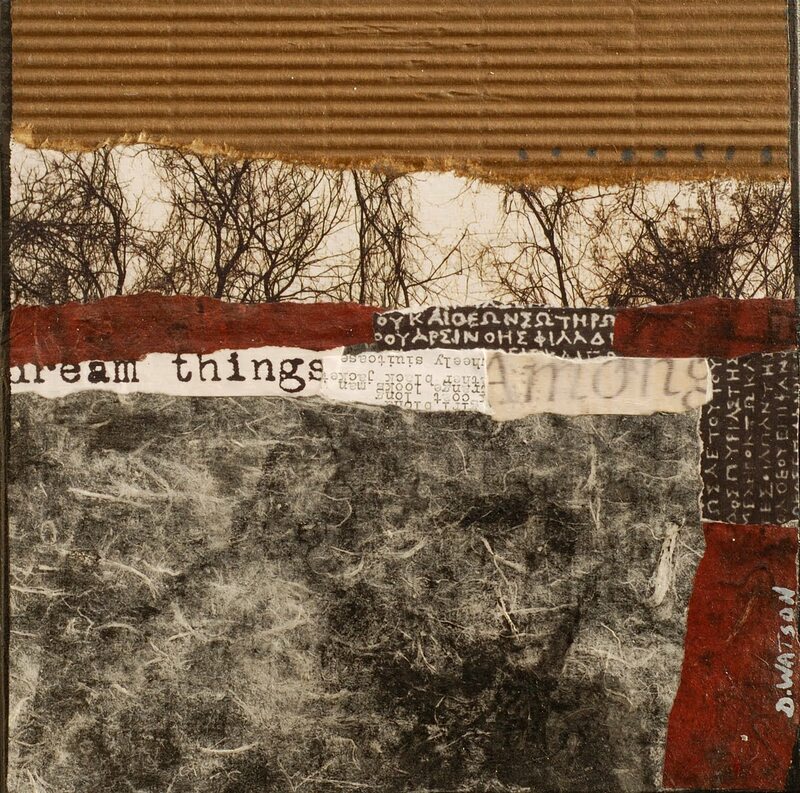 Fred Otnes is a collage artist who uses textures and imagery to create a world where secrets and mysteries emerge from his torn papers and scratched away paint. If you are interested in his book you can go to his website here to purchase it. Antoni Tapies was born in Barcelona in 1923. His heavily textured works involve large surfaces covered with paint, sand, marble dust, wire, paper, or cloth. He has immersed himself in a Zen-like minimalism of color suggesting a highly spiritual content. His rough textures have an organic feel. 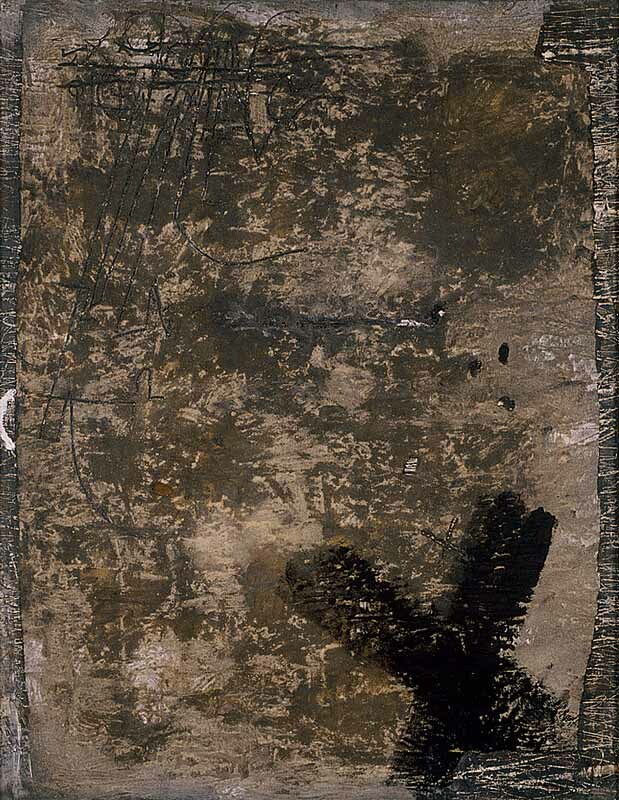 Tapies is a visual poet, capturing the human imprint of what has been used and what has existed. You can find his work in museums all over the world and there are many books available at Amazon.com. Anselm Kiefer was born in Germany in 1945, the year Nazi Germany surrendered to the Allies. He grew up in the aftermath of the war. Poet, Paul Celan, was born in Romania in 1921. In 1945, he had survived the labor camps but his parents and family members had died in the concentration camps. 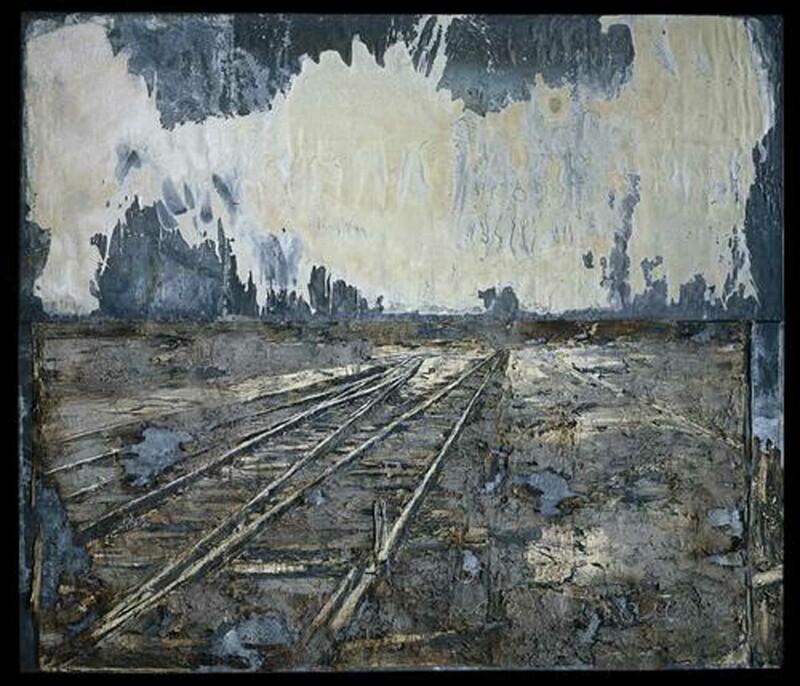 His poetry is linked to his memories of the Holocaust, and his poetry has influenced Kiefer's work on every level. 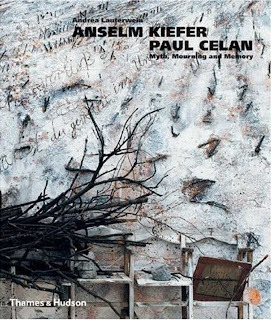 The above book, and others on Kiefer's works, are available at Amazon.com. 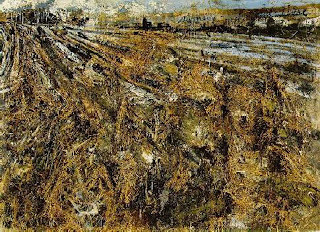 Kiefer portrays or reveals the imagined desolate, wasted landscapes by using straw, ashes, earth, clay, sand, hair-- all exposed to the passage of time. His works are monumental, measured in feet, not inches. Thank you for a most interesting post as usual, as you know, I am fascinated by textures and try to include plenty in my paintings. I will enjoy following up your links and book recommendations. I love texture too. Especially the corrugated cardboard on your new piece, it's beautiful. see this new book. Thanks for sharing and have a lovely Easter. I like this piece a lot, Donna, with the strong corregated card at the top and the fragile texture of the fine lines directly underneath. Texture is also a favorite design component of mine. I used to sew a lot and can never keep my hands from touching fabric, any fabric, anywhere. And my eyes always look for visual texture. Thanks for this great post. Hello Donna.. i too love textures and am prompted to do a texture post of my favourites .. when i do will link to this post ..!! thank you so much for sharing.. Tapies work is a no.1 favourite.. your other book and link recommendations i will also follow up. your work is lovely.. and thank you for this inspiring texture post ..
Texture is a remarkably satisfying thing. We like to see and feel textures, but we also like to hear the textures in music. It seems that texture is important to all of our senses. Another beautiful post. Thank you. I adore textures and I am in heaven over these books Donna, thanks for sharing the information and your piece is wonderful, I love the cardboard at the top. very visually chewy! thanks! this is a lovely full post. I am going to re-read it and take a note of the people you have mentioned. Texture...always good! Your piece is great with the addition of that wonderful cardboard, Tapies, Kiefer and Otnes...good company. the words by Chanti are heart opening. Glad you are back home and blogging again! A richly textured post indeed...I love the references that you provide and particularly the sharing of the work of Anselm Kiefer...the Cleveland Museum of Art...once part of my stomping grounds...have one of his mammoth works in the permanent collection. The depth of surface design..so compelling. As are the words of Chanti. Another wonderful post Donna. I love the way you use your own work measured along with others who exemplify what you are studying in your articles. The natural textures seem to emit a vital energy within a work, as opposed to the plastics and artificial feel of "plastics". My heart always races when I read your posts because everything hits the spot, from your work to glorious books that I need to buy right now. Loved the flow of thoughts Donna! 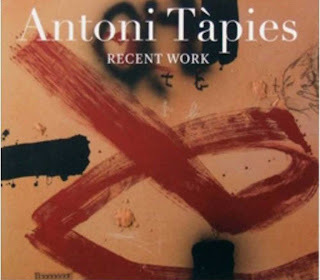 Donna, your line about Tapies struck a timely chord -- "Tapies is a visual poet..." -- everything inside me is saying yes and yes and YES to this idea. What does a visual poem look like, what textural qualities does it have, what movement and "punctuations"? Thank you for stimulating this stream of ideas and questions! texture! thats it! I believe I enjoy creating the background the most. 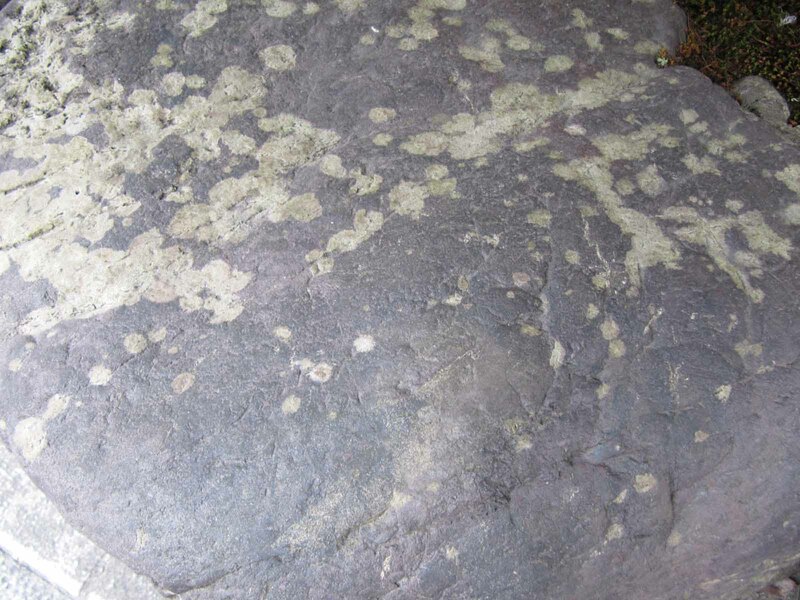 thank you for sharing your latest and the interesting info on the other texture lovers. I am forever picking things off the street that I think will make good texture in my work! Ah! One of my favorite topics. Thank you for the introductions and links. I like the use of text in your current collage. Nice to hear from you as always Donna! Where will you hide your eggs tonight? :0) Happy Easter. wonderful to see your collage and read of all these artists, some new to me, some not. I think one reason I adored making handmade paper was the texture of it. Often I would throw in dirt, leaves, pine needles (chopped up in the blender) to make an amazing paper full of texture. Thanks for the poem too. Textures - perhaps my favorite design element. You use it so elegantly in your own visual poetry. Thank you once again for helping us to see. One thing I dislike about seeing so many great textures on the internet is that I can't touch them and absorb them with all my senses! I still enjoy seeing them of course I just feel like I am missing out on the complete experience! A visual journey of your work leaves a lovely path for my imagination to follow however so i am not dissapointed! Who knows I may yet be lucky enough to get one of your collages in the exchange! Okay Donna. You must be reading my mind. Of course I love "the texture" but Tapies and Kiefer are two of my favorite artists. Thanks for highlighting all of this in one of your always wonderful posts. thanks for all the fabulous resources and links. I do love and admire those works with rich, layered textures. There is something wonderfully earthy and slightly mysterious about some of these pieces. This post speaks to me directly. I own all of the books you've featured and texture is my main interest in the work I create. 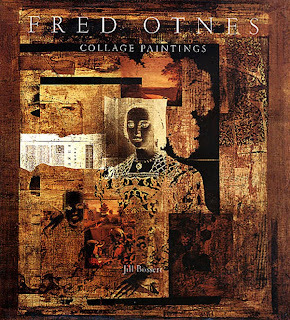 I saw an exhibition of Fred Otnes work in New York. I was beside myself with its exquisite surfaces- delicate and complex. When I first found your website it was the textural aspects of your work that drew me in and the themes you explore that kept me interested. Thanks for the introduction to these artists and their books. I think it's great when a painting shows texture, that's the reason why I also like works of textile, the longing to touch it. Great selections. Thank you for pointing them out. Your own work is so beautifully detailed and exquisitely balanced. I always feel inspired when I stop by to look. This is a wonderful mini-study on texture. 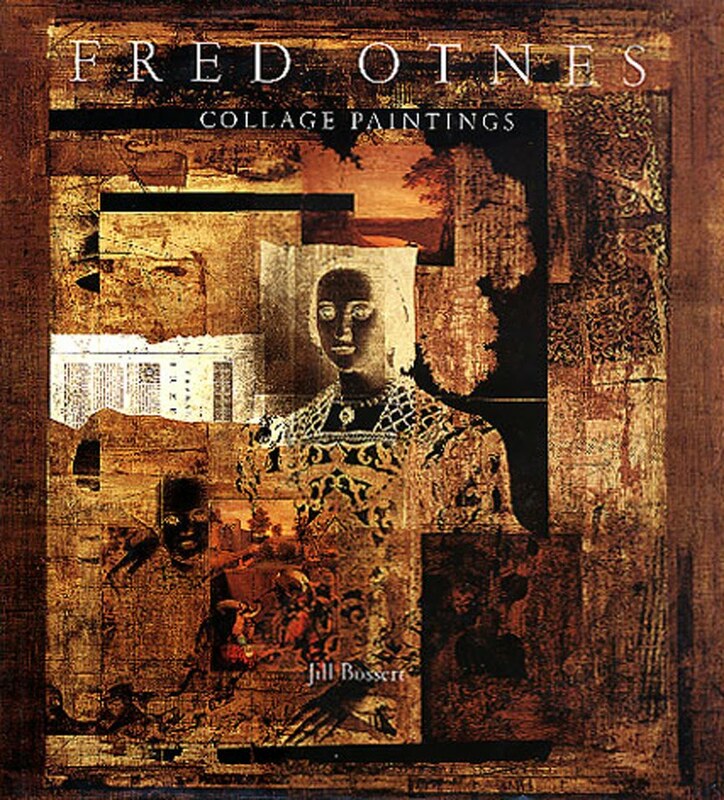 I was unaware of Fred Otnes recent work. I know decades ago he was quite well known for his commercial illustration. You couldn't open an "Illustrators Annual" without seeing him and his numerous awards. I remember thinking back then that he was quite a bit more than an illustrator. Great topic and artist examples! 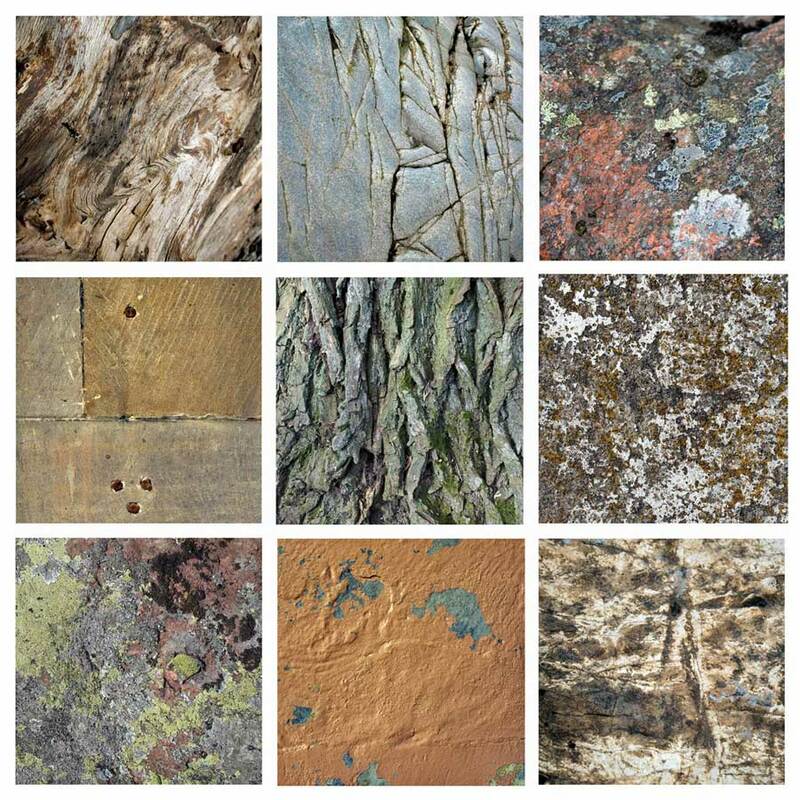 I'm a texture fanatic as well, a challenge when you work primarily in photography. There are many techniques I've used in recent years to layer found or created textures transparently into my images. I must have over 600 textures in my digital library. I also do a lot of work that is out of focus - no texture at all, the opposite extreme. The yin and yang of texture, I suppose. It's always that in between stuff I find less interesting. j'aime énormément ces intégrations et collages d'un ton terre , sienne, ombre..
Donna - Thank you for taking the time to put this post together. Beautiful paintings, pictures and words. Love the colors. Intriguing and comforting at the same time. 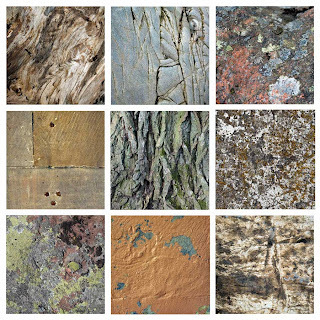 I too am drawn to textures in art and a lot of my collages find ways to texture the surface, I am also going to be looking at this on my experimental art e-course as I realise how many people enjoy it. 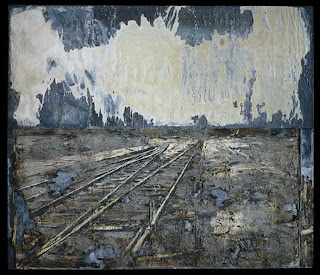 Also, I love Anselm Keifer's work, and have been to a couple of his exhibitions here in London and they really are amazing, particularly because the scale is so awe-inspiring - huge works that you can gaze up at. I love textures, too! Thanks for the enjoyable and informative post! Your piece is strong both visually in composition as it is in texture Donna. Very informative post. Thanks as I was not familiar with these artists. 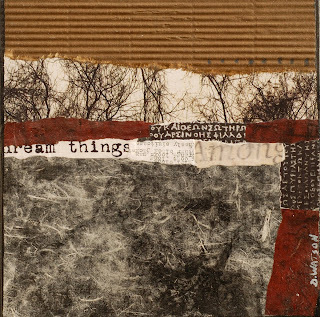 Oh Donna, you just brought up a bit forgotten old favorites, Kiefer and Tapies. You made me want to visit their work again. Textures are so yummy, they speak such a direct language. I love your work here. It's stunning. Thanks for the inspiration. I just came across your blog and loved reading your posts-so much info plus inspiration! I, too, love texture-it is very sensual and invokes a sense of mystery, layers, time, meaning. to let you know I have dropped by and am thinking about you. congratulations on the wonderful blog and for your amazing work. Really, there is something seductive and sensual about textures; they have life! I read this article and its tell me how to make a texture on paper with new way thanks for share it finance homework help .